You may want to discuss with your students how the openings left by tree falls significantly increase the light level of the forest floor, creating opportunities for shade intolerant plants to germinate and for shade tolerant plants to finally start growing quickly. 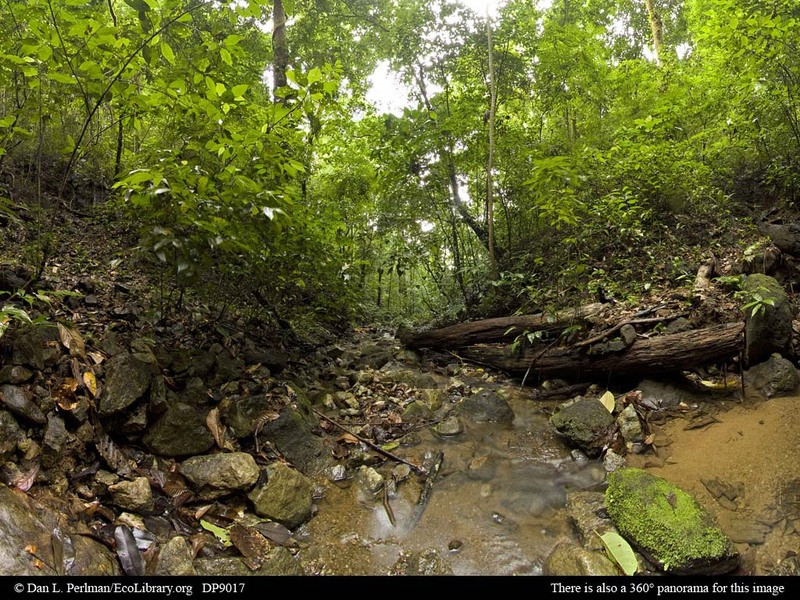 This primary lowland rainforest receives about 20-30 ft (6-9 m) of rain per year. Some years before this panorama was taken, a large tree fell (as seen here), which created an opening in the forest canopy overhead.